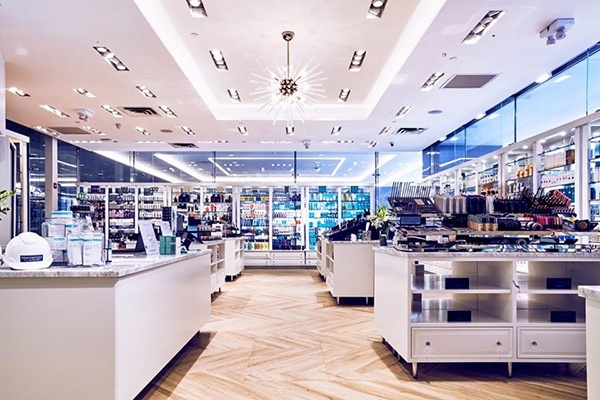 Beauty retailer Bluemercury, which offers an array of higher-end skincare products, makeup and spa services, is about to expand beyond its current 145-store count. Its latest venture takes the form of a new flagship store on New York's Sixth Avenue. Aimed to the male demographic, its goal is to make Bluemercury a household name — or as founder Barry Beck says, "a national brand and a household name, an iconic luxury brand." From pioneering a new mens' facial, an artificial intelligence mirror, to offering concealers, bronzers, tinted moisturizers and beyond for today's man, the store is a response to "a big change going on" currently, according to Beck's research. Find out more about the new concept here.